The AOA Executive Committee, recognizing the lack of diversity in the profession of orthopaedics as a critical issue, approved the incorporation of diversity initiatives into the organization’s strategic priorities. Increasing focus on the importance of diversity and providing leadership development programming to orthopaedic surgeons of all career stages. Supporting orthopaedic residency programs to expand diversity tools and education. In addition, Charles L. Nelson, MD, FAOA, Julie Samora, MD, PhD, MPH and Lisa Lattanza, MD, FAOA were appointed to serve the AOA as Diversity Liaisons. In this role, these individuals will coordinate diversity content/activities within AOA programs and serve as advocates for increasing gender, racial, and ethnic diversity perspectives throughout AOA programming. They will liaise with other organizations to explore opportunities of collaboration and serve as AOA’s information source for important and relevant opportunities to expand and/or partner on diversity and inclusion initiatives. Progress has been made towards accomplishing these goals during the past year and there are plans to further expand on these efforts. At the 2018 Annual Leadership Meetings, AOA brought awareness and action to diversity initiatives. The Howard H. Steel Orthopaedic Foundation funds lectureships on any subject except for orthopaedics or medicine—reflecting Dr. Steel’s own interests and achievements as a Renaissance man. Professor Onaje X.O. Woodbine, PhD was the 2018 Howard H. Steel Lecturer. His presentation was a dramatic, profound and emotional narrative of survival and self-determination in a culture where basketball is lived as religion. While speaking to an audience of primarily Caucasian males, Professor Woodbine provided insight into the importance of basketball for young kids in Roxbury, Brookline and other similar communities. Several students from the Boston area Boys & Girls Club attended this presentation. Working in conjunction with Professor Woodbine, students from the Boys & Girls Club of Boston attended the AOA Opening Ceremony and participated in an intimate session led by AOA Members: Jasmin McGinty, MD, FAOA; Scott E. Porter, MD, MBA, FACS, FAOA; Melvyn A. Harrington Jr., MD, FAOA; Robert H. Wilson, MD, FAOA; Charles L. Nelson, MD, FAOA; Toni M. McLaurin, MD, FAOA; Amy L. Ladd, MD, FAOA; and E. Anthony Rankin, MD, FAOA. These AOA Members shared personal stories, insights and encouragement from their journey through college, to medical school and into orthopaedics. Read all about this event in the Fall issue of AOA News. Dr. Melvyn Harrington moderated a panel consisting of E. Anthony Rankin, MD, FAOA; Amy L. Ladd, MD, FAOA; and Bonnie Simpson Mason, MD. The session entitled, “Why Isn't the Orthopaedic Workforce as Diverse as the Population it Serves? Where are the Minorities and Women?” explored the lack of gender and racial diversity within the field of orthopaedic surgery. During the session “True Grit in Leadership” moderators Julie Samora, MD, PhD, MPH and Kristy L. Weber, MD, FAOA shared challenges and insight into being a female in a male-dominant profession. While these conversations can be difficult, they are important in changing the culture and taking action. AOA/JBJS Co-Branded Webinar, “Achieving Diversity in Orthopaedics: Taking Action to Drive Change” took place November 14, 2018. A recording of the webinar is available here. Orthopaedics Today featured an article with Mary O’Connor, MD, FAOA. covering some of the topics discussed. In 2019, the AOA will offer the symposium, “Expanding Diversity Need Not Compromise Quality: What Can We Learn From the Military?” presented by Anthony Johnson, MD, FACS, FAOA. 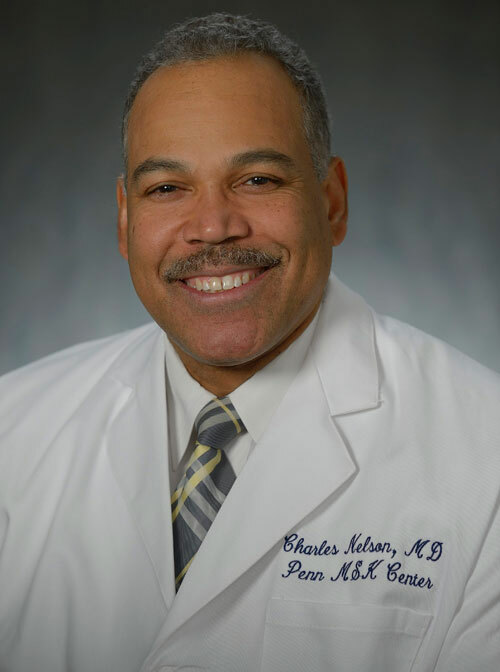 The 2019 Summer CORD Conference will have a symposium, “Mentoring Under-Represented Students,” which will be moderated by Melvyn Harrington, MD, FAOA. The AOA’s 2019 Leadership Institute will be a Diversity Workshop led by Michelle Guy, MD designed to create diversity champions. Tools will be provided for these individuals to return to their institutions with tangible resources to take action. To continue on the successful community outreach project that took place in 2018, AOA members will meet with pre-college kids from the Boys and Girls Club of San Diego in 2019 to talk about the journey to a career in orthopaedics. Other activities will continue to evolve as we strive to ensure orthopaedic surgeons in the future look more like the patients we serve. In order to set realistic diversity goals and measure exactly where we stand, the AOA needs more accurate information from members like you. Please login to the AOA website and update the "Gender" and "Ethnicity" sections of your profile. Click here for the step-by-step instructions.